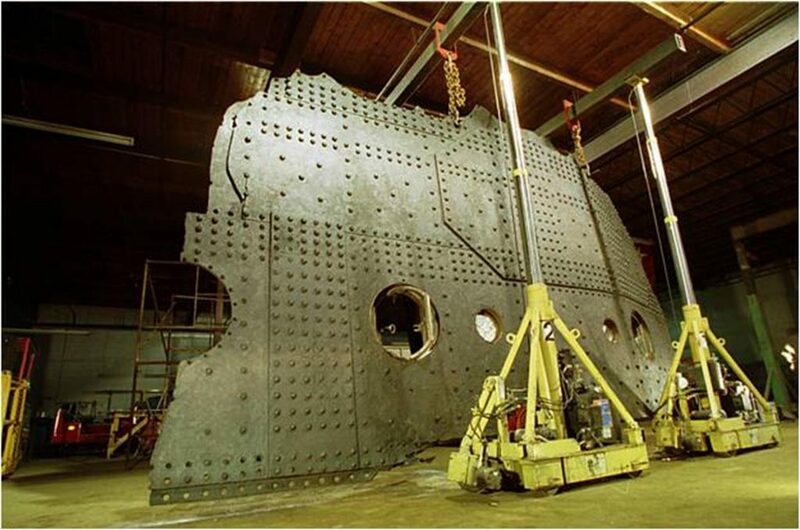 We were hired to help coordinate and design the rigging plans for the removal of the 17-ton wrought iron hull fragment from the salvage ship Abeilles Supporter. 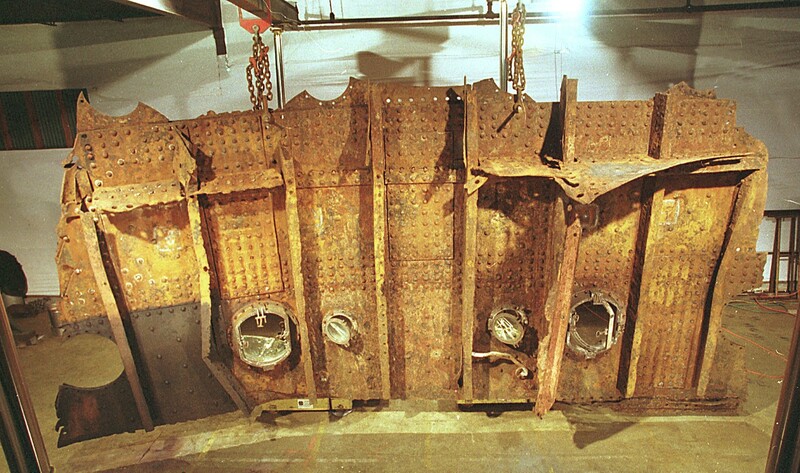 Joe Sembrat, Head Conservator, supervised the safe and proper rigging of the hull fragment from the ship to the transport truck and its transport to the display site three miles away. 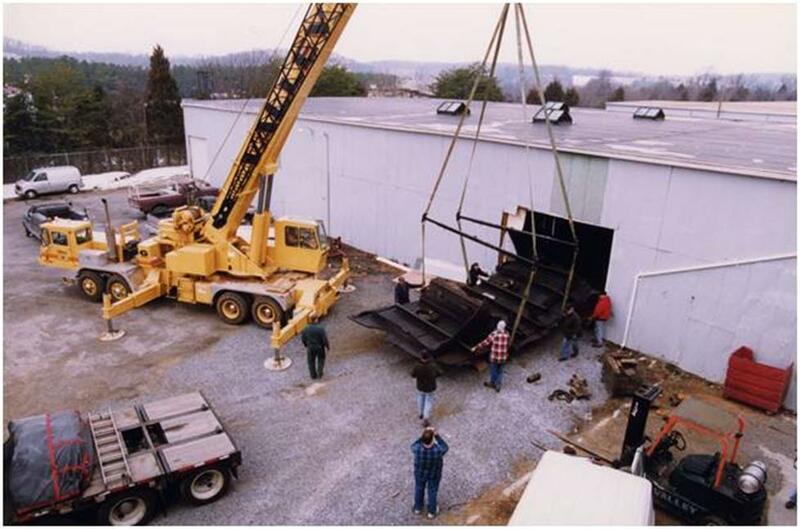 He also organized and supervised the transport of the piece to us’s studio for conservation once the exhibit was complete. We designed, implemented, and supervised the conservation of the piece. 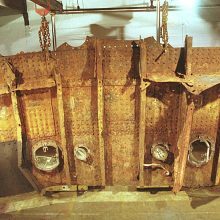 The treatment consisted of the removal of chlorides from the iron substrate, mechanical cleaning, application of tannic acid, and the application of a microcrystalline wax. 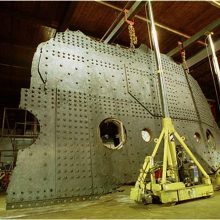 Additional tasks performed were: supervision of the rigging and shipment of the piece to various exhibition sites; consultation for the construction of the display frame for the piece; providing technical input for the creation of interpretive information used in the display of the hull fragment and for press releases. 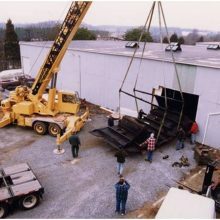 Documentation, which included photo documentation, report writing, and historic research, was also provided to the client.